Film Screening Times: Wednesday - Saturday at 12 noon, 2:00, and 4:00 pm. The Box is excited to bring the work of Renzo Martens to Los Angeles for his first solo exhibition in the United States. We are proud to bring the work to LA specifically because this is the city where Martens developed the ideas that he employed for both of his films: Episode I and Episode III. This exhibition will present his film, Episode III in its first American presentation since its release in 2008. Episode III, also known as 'Enjoy Poverty', is a 90-minute film registration of Martens' activities in the Congo. In an epic journey, the film establishes images of poverty as the Congo’s most lucrative export, generating more revenue than traditional exports like gold, diamonds, and cocoa. However, just as with these traditional exports, those that provide the raw material, the poor being filmed, hardly benefit from it at all. Episode III will be projected from the mobile research platform-a three part wooden raft on which the film was produced while traveling down the river Congo during the filming. 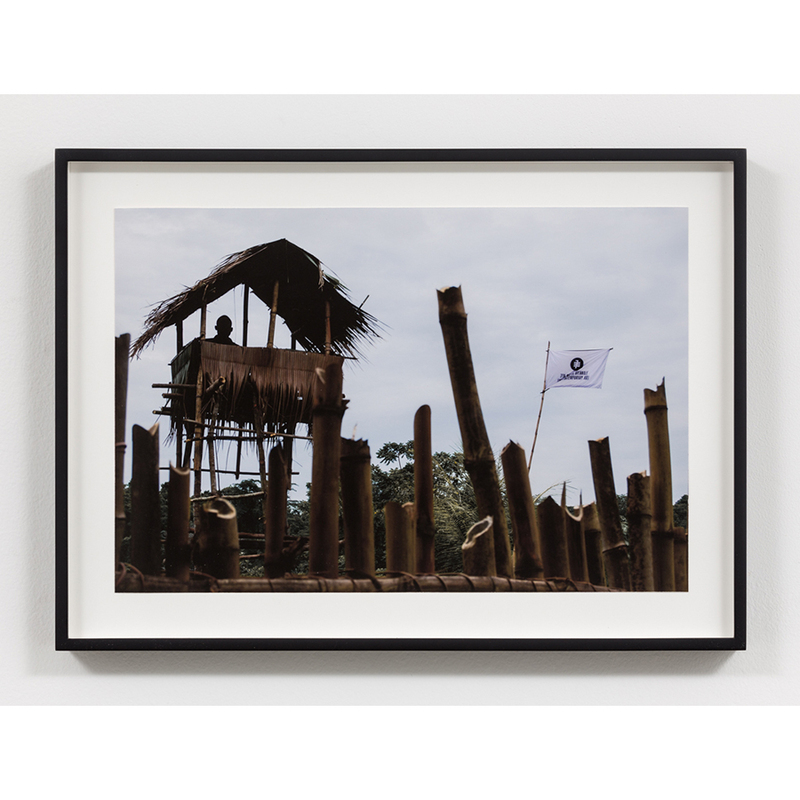 Also included in this installation will be photographs taken by the Congolese photographers featured in the film. Episode III takes place in the Congo amidst ethnic war and relentless economic exploitation. In the film Martens sets up an emancipation program that aims to teach the poor how to benefit from their biggest resource: their own poverty. Thus, Congolese photographers are encouraged to move away from what are described as development-hindering activities, such as photographing weddings and parties, and to start photographing the war and disaster around them. 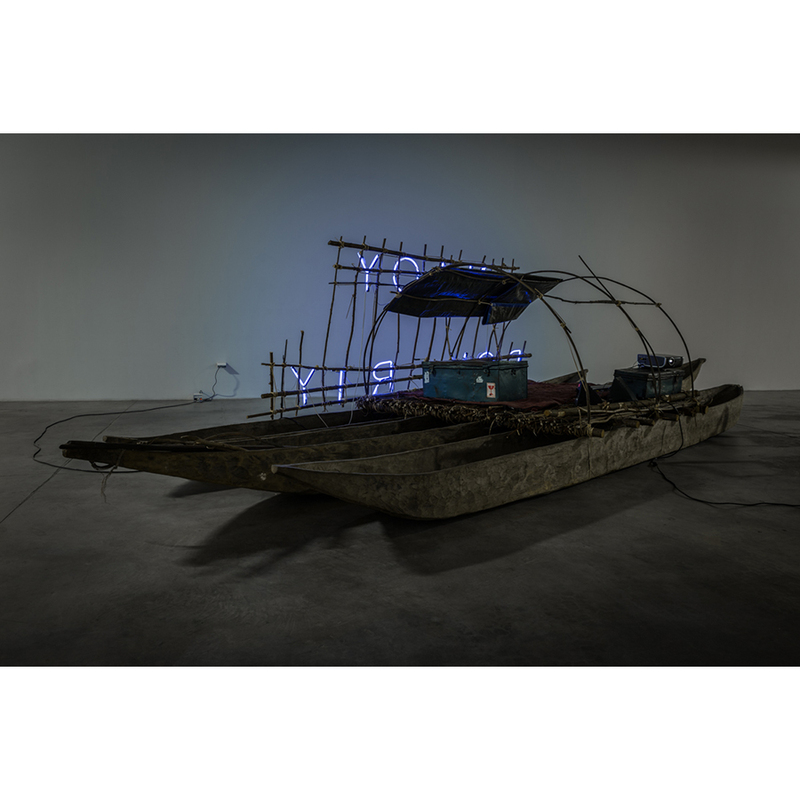 With a neon sign, packed in metal crates and carried through the jungle by Martens' porters, the local population is encouraged to capitalize on what the world has given them as their share. 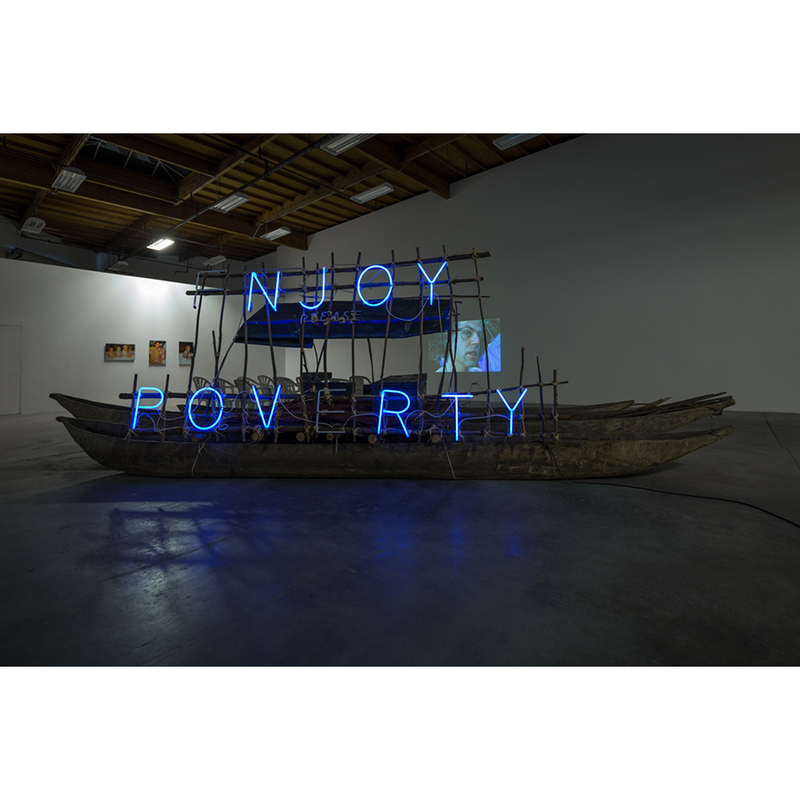 It states 'Enjoy Poverty.' Hapless plantation workers question it, accept it, dance around it, yet in the end, the whole project seems bound to fail. Following worldwide recognition of Episode III, being shown at Tate Modern, Centre Pompidou, Van Abbe museum, Stedelijk Museum, and the Berlin Biennial, Martens understood his work in a new light. Martens realized that like that of many others, his work commented on social inequality and economic injustice, but in the end only creates opportunities for real estate and economic developers who benefit from the growth of the art communities in cities like London, Berlin, and potentially Los Angeles. Ultimately he realized it still left behind the poor and further empowered those in the higher economic class. In response, Martens founded the Institute for Human Activities (IHA) and its five-year Gentrification program in the Congolese rainforest. 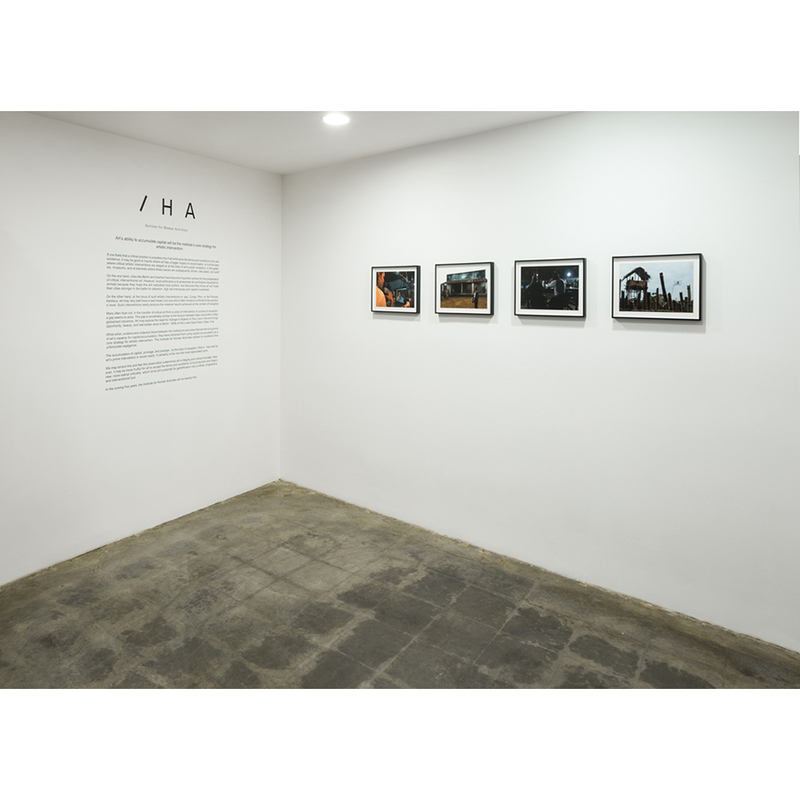 In a separate, small exhibition The Institute for Human Activities (IHA) will present its recent actions via photos, videos and a text written by the Institute. The IHA initially started its operations on a former Unilever plantation, located on a tributary to the Congo River, 800 kilometers upstream from Kinshasa, but was forced to leave that place. The New Settlement serves as an in-vitro testing ground where the IHA mobilizes the modalities of art production, seeking to acknowledge the economic mechanisms through which art has the greatest impact on social reality. The institute reconfigures capital accumulation as a tool for artistic intervention, enabling art to make productive use of its dependence on existing economic structures. 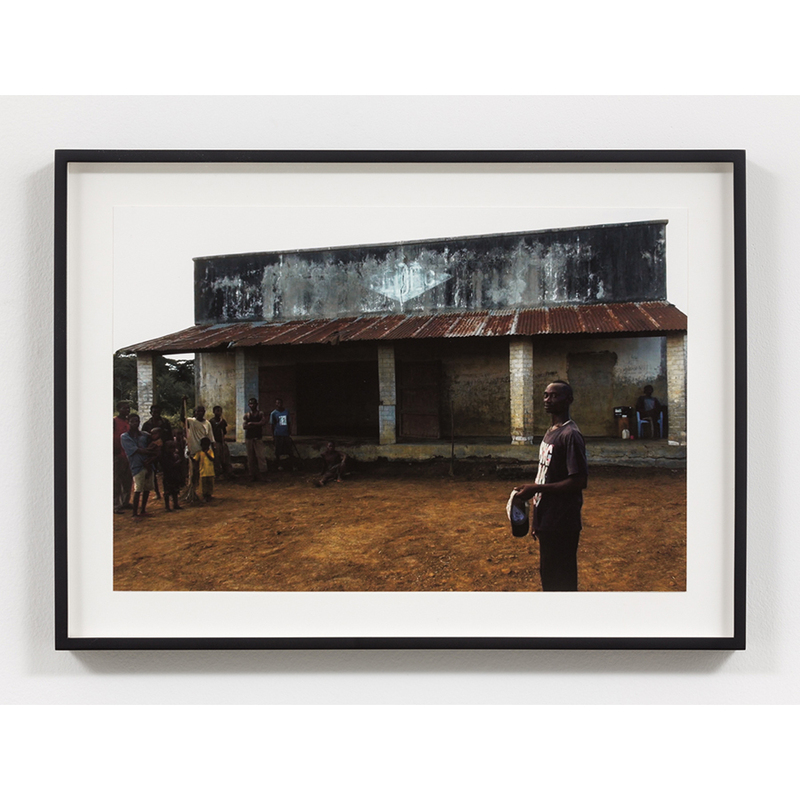 Searching for ways for art to come to the terms with its dependency upon free labor in the Congo and eventually other communities. This exhibition will bring these two bodies of work together in a way that has yet to be done before. Martens, while the Creative Director of the IHA, has often separated its presentation from the film Episode III. At The Box, their connections will be addressed from the perspective of the artist.